An oversized tote bag by The Swedish Model. 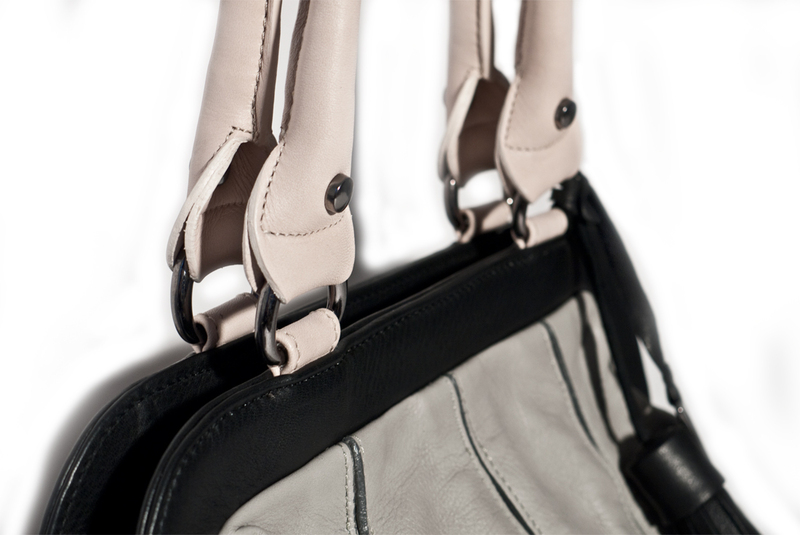 This urban balloon style has two top handles and is made of pleated vegetable tanned leather. Frame-style top with metal zipper. 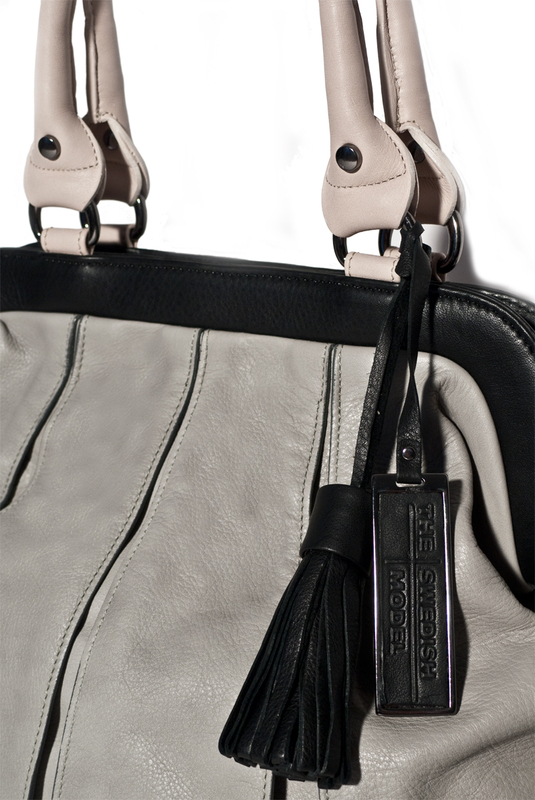 Easily converts from handbag to shoulder bag. Soft vegetable tanned calf leather. Poppy red lining with Gunmetal hardware.